10 tips top to help you blast belly fat from a mum who has done it! 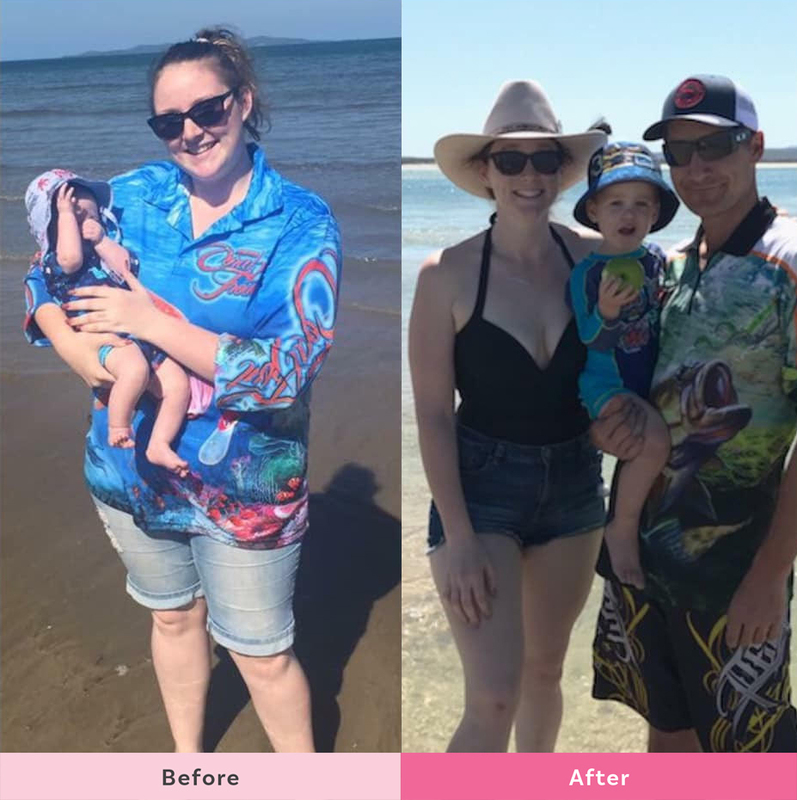 When we ask the mums in The Healthy Mummy Community about what they have the most trouble with when it comes to losing weight often they say they struggle to blast belly fat. Annoyingly, belly fat is harder to lose than any other area of fat. It seems patience is a virtue as losing weight from your midsection takes time and effort and unfortunately doesn’t happen overnight. 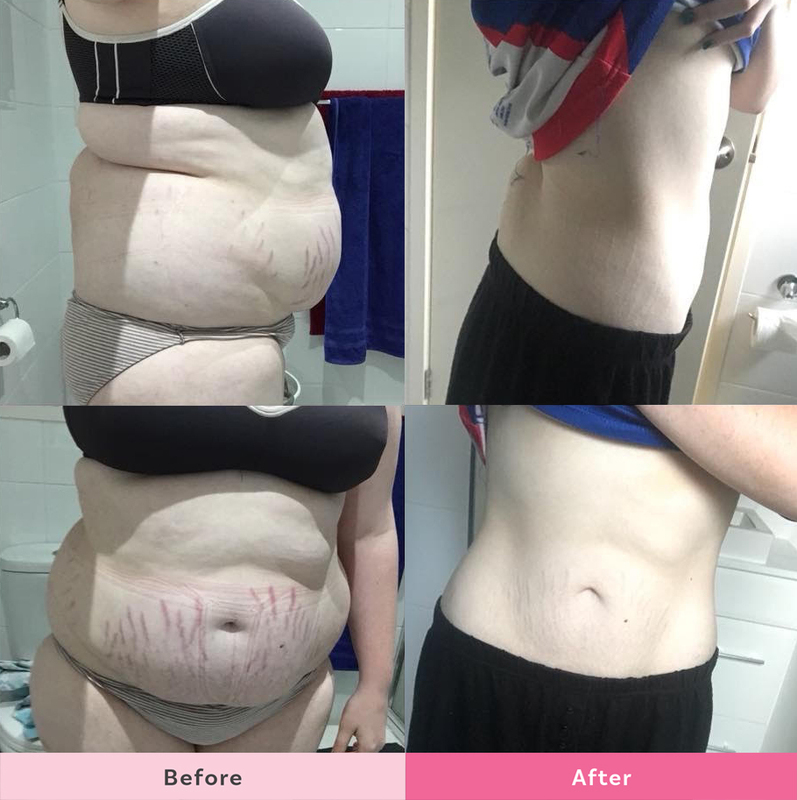 But don’t despair if you are keen to blast your belly fat mum Nikita is here to offer her top 10 tips that helped her blast her belly fat for good! “Hi ladies! 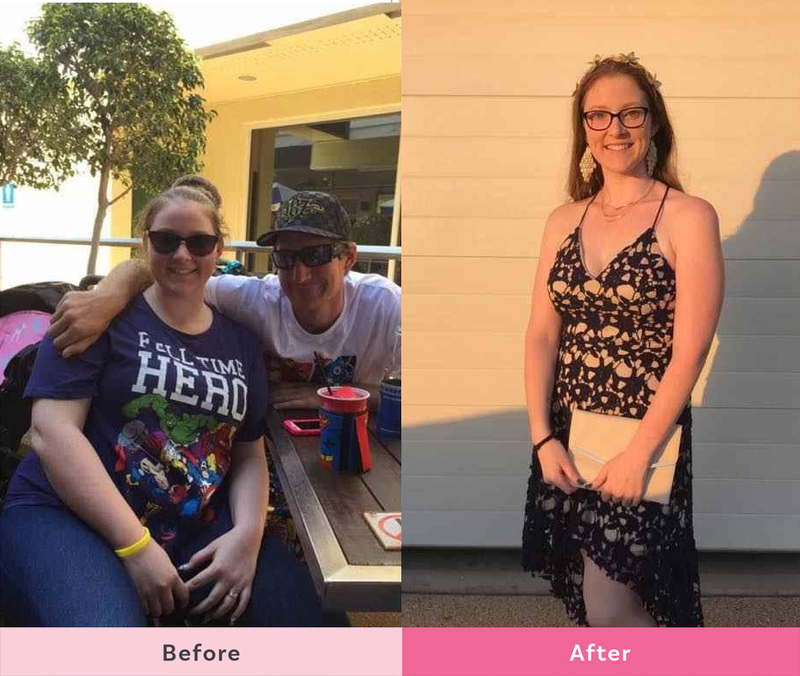 My name is Nikita Baxter and I’ve lost 39kg’s following The Healthy Mummy 28 Day Weight Loss Challenges and using Healthy Mummy Smoothies every day for breakfast. FOOD! It’s so important to fuel your body with the best. This is where The Healthy Mummy played a VITAL role in my transformation. Delicious, clean and EASY family-friendly healthy meals, snacks and drinks! Here are four food swaps to make to help you blast belly fat. CALORIES! So many people under-eat thinking this will help lose weight…no! This will only encourage your body to store fat as it thinks it’s in starvation mode. Eating the correct amount of calories for your BMR is incredibly important. Use the app to help you track! AM WALK! I find going for a walk first up in the morning has always helped keep my bloat at bay. I walk before I have my morning smoothie. PM WEIGHTS! I try to fit in a weight session every afternoon. I don’t tend to target areas but complete a full body workout with dumbbells and a barbell. You burn calories long after the sessions are complete, so I find playing with some weights really boosts my results. 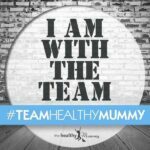 The Healthy Mummy app has a fantastic weights section! WATER! Upping your water intake is imperative! You need to be hydrated for your body to feel nourished and to flourish. Believe it or not – it also reduces bloat! ENGAGE! It’s incredibly important when doing ‘AB’ exercises, to engage your core properly. If you haven’t correctly engaged, your muscles aren’t activated and ultimately you won’t see results. Correct activation also helps reduce any back discomfort and reduces the chance of injury. PLANK! You’ve probably heard this a thousand times – that’s because IT WORKS! Tightens, tones and strengthens your core muscles. Everything us mums need. CONSISTENCY! You need to be consistent. In everything you do! Food, exercise, sleep – everything. It’s important to keep your body in a regular routine to ensure progress. We all have moments, but it’s how we recover from them that determine the impact. Why wait until Monday when you overdo a Friday night? Start Saturday morning! Back on the train. PLAN! I work full-time. I have a 2 1/2-year-old. My husband works away. I have to plan my days and weeks. I meal prep on a Sunday (lunches and dinners) pack lunches and bags the night before, set alarms for exercise and follow through! If I can’t exercise before daycare pickup, I do it when my son goes to bed. I always find a way to tick off my daily to-do list. Meal plan! COMPARE! Not just the number on the scales. But the cm’s around your waist, numbers on your clothes tag, photos! I always compare my very first before photo as it reminds me how far I’ve come, and where I’ve been. It’s so humbling remembering my journey – struggles and successes. 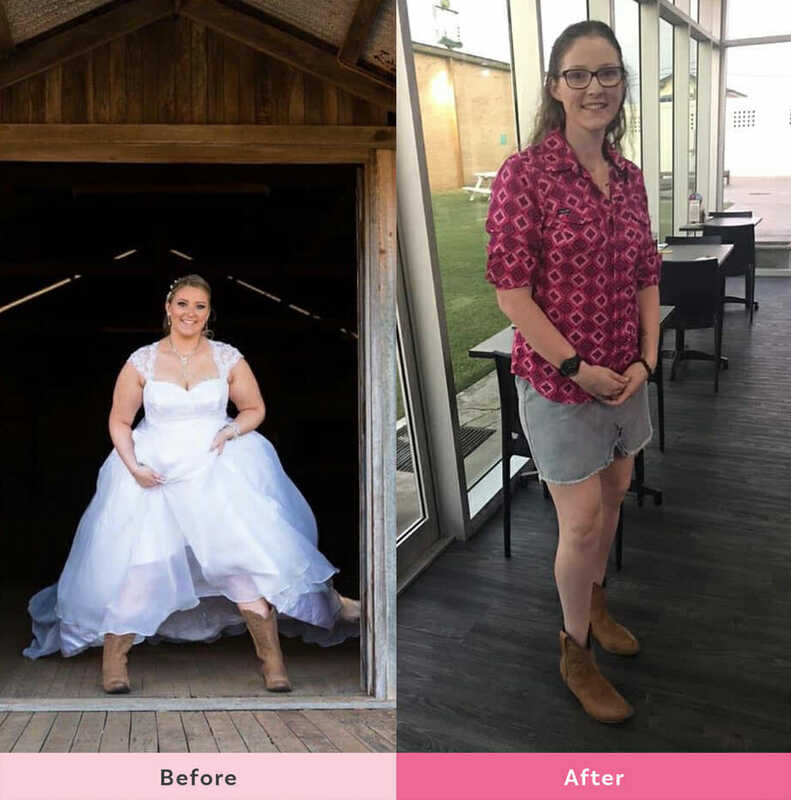 37kgs gone in 13 months! 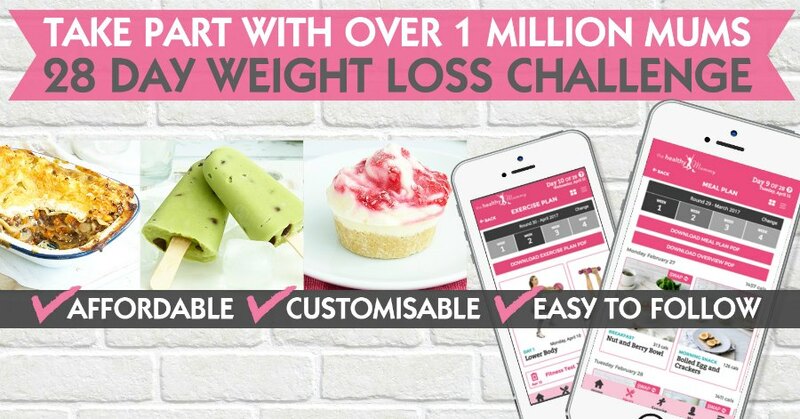 If you are interested in kickstarting your weight loss and want to improve your energy – not to mention – improve your overall health and wellbeing – our 28 Day Weight Loss Challenge is an awesome program to check out. To learn more about our 28 DAY WEIGHT LOSS CHALLENGE CLICK HERE or PURCHASE SMOOTHIES HERE.